Aa branch of dentistry where dentists help patients with sleep issues, sleep dentistry requires a holistic approach – it’s not merely a treatment option offered by dentists alone. Issues such as breathing disorders, snoring, sleep apnoea, jaw clenching and teeth grinding are incredibly common. Despite many Australians suffering from these ailments, many go undiagnosed – leaving sufferers (and their partners) to wonder why they often have a poor night’s rest. At TMJ Melbourne, we offer a holistic approach to sleeping issues such as sleep apnoea. Combining the expertise of an experienced sleep dentist and professional chiropractor, we are able to address issues not only relating to the teeth and jaw – but also the neck, back and other parts of the body. Issues such as snoring are primarily caused by an obstruction of the throat – however the underlying cause is far more complex. There are many reasons why the throat can become blocked; if the neck and throat muscles relax too much or in the wrong way, this problem can occur. 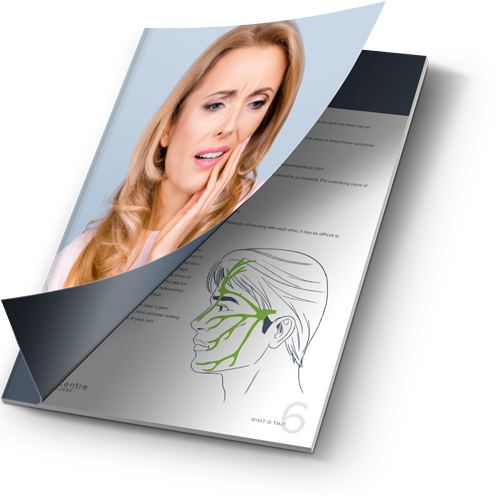 Poor neck position, jaw alignment and TMJ can further exacerbate the issue. TMJ Centre Melbourne can help treat sleeping problems by working to improve the position of the jaw, head and neck—ultimately reducing the amount of pressure on the airways. Through a combination of a bite plate (mandibular advancement splint) to move the jaw forward and down, and chiropractic treatment to help ensure airways are as clear as possible, we may be able to provide patients with relief from snoring and sleep apnoea. If you are searching for a specialised sleep dentist in Melbourne, let our experienced team provide you with the relief you need. We are also able to co-treat alongside ear nose and throat surgeons, physicians and GPs. So if you are already receiving alternative treatment be sure to let us know. To book your initial consultation, contact our team today on (03) 9417 4038.